Super Silver V.S. Dark Sonic. . HD Wallpaper and background images in the Silver the Hedgehog club tagged: silver hedgehog the sonic. 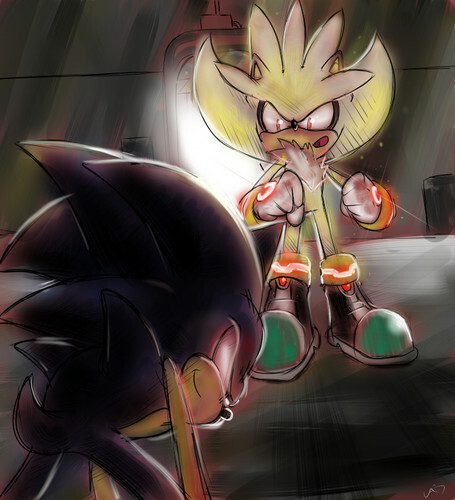 Now THIS is how the fight in Sonic 06 between Sonic and Silver SHOULD have gone! i'm with you , Glitch TheH.